Back in April 2009, the phone rang at Bee Lab: It was The Nature of Things requesting to come to the Bee Lab to gather information for their story, and to shoot footage. The staff apiculturist, Paul Kelly should have been the one on TV, but heck, he was away on a trip, leaving me to wo-man the ship. They came, they shot, they asked questions and they left. It was a fun day! The camera man and I even went out for a beer afterwards. I was so delighted to be a part of this project because the topic is so dear to my heart, and so very important for people to see and educate themselves about securing the future of our food and environment. I don’t say anything, but I “act” like it’s going outta style, starting at 24:00 minutes. How-day! My friends and family all me Nina, or J9. 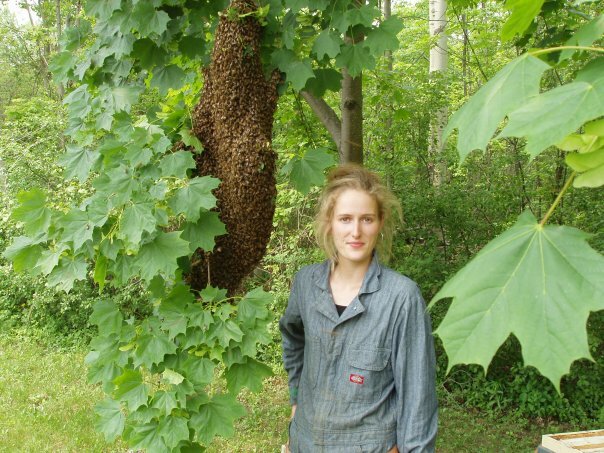 I recently obtained my Master’s degree in Environmental Science, and have been an active beekeeper since 2005. 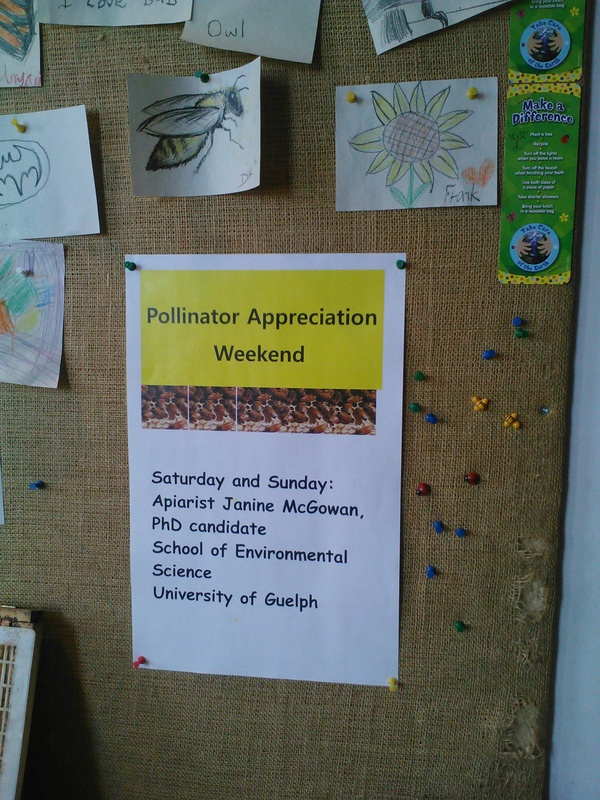 I was an apiculture research assistant at the University of Guelph’s Honey Bee Research Centre from the years of 2006 to 2010, and those years, without question, were some of the best in my life thus far. 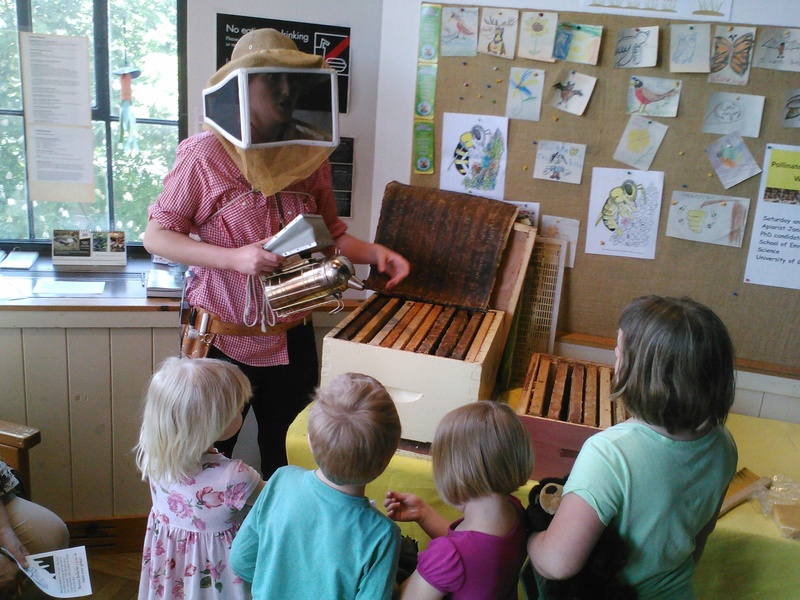 I was in my hay day learning, working, and teaching everything honey bees, doing presentations for beekeepers’ associations and kids’ groups alike. 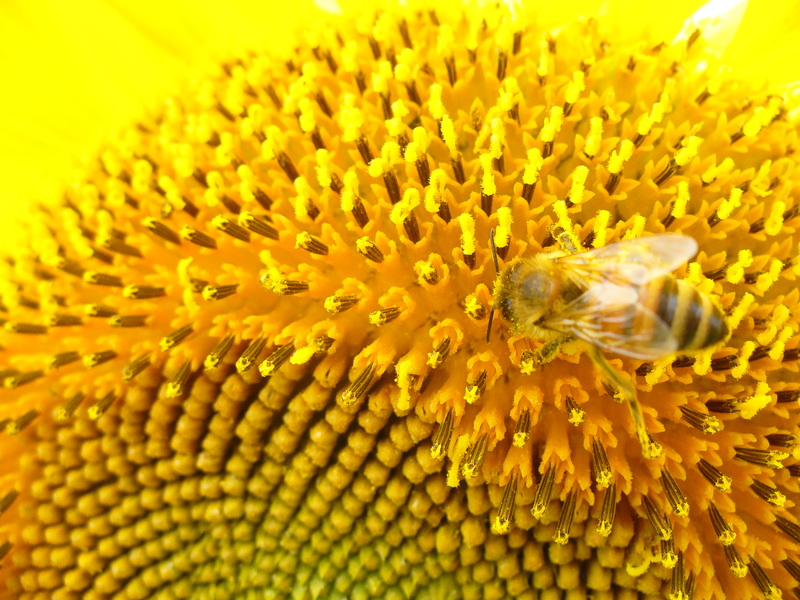 Check out how “tall” the bee colonies are in the picture below. There’s 6-7 honey supers stacked on top! 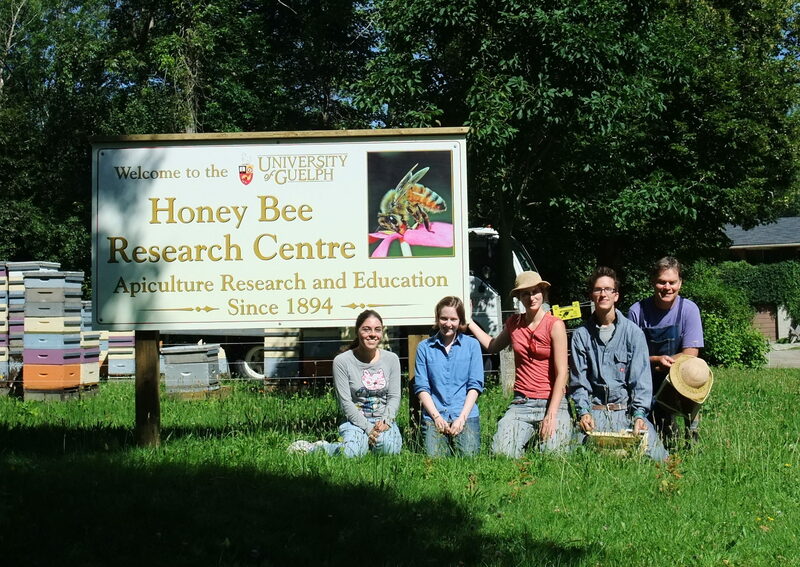 This photo was taken in 2009, and the people from left to right are: Miriam, Jessica, ME, Matt, and my bee sensei, Paul Kelly.